The Women’s Bar Association of Illinois, one of the oldest and largest bar associations in the state of Illinois, was first established in 1914 by nine women lawyers practicing in the Chicago Metropolitan area. It was founded to promote the interests and welfare of women lawyers and also to aid in the enactment of legislation for the common good and in the administration of justice. Its activities have always been divided between burning controversial social and political issues and the practical need to help its members gain employment. The WBAI was one of the first minority bar associations to extend its membership to males. The Women’s Bar Association of Illinois’ original charter was applied for by Alice C. Edgerton, Martha Elvert, Mary M. Epperson, Elizabeth L. Hoffman (Buchhalter), Eunice D. Martin, Ella Zoelzer, Mae L. Minock, Nettie Rothblum and Charlotte D. White. Its purpose was “to promulgate, promote, advance and protect the interests of women lawyers in the State of Illinois.” The plans for the organization were formulated at a meeting of the charter members in Lincoln Park. In the early days of the Association, its most active work was in connection with an auxiliary organization known as the Public Defenders League for Girls. The WBAI is fortunate to have generous benefactors who have made it the prestigious organization it is today. In 1993, Judge Mary Heftel Hooton bequested her estate to the WBAI for a permanent home. The organization was able to acquire a condominium at the Chicago Bar Association building at 321 S. Plymouth Court, Chicago, Illinois. She graduated from DePaul University Law School in 1943. She was in private practice for many years before being elected a judge in 1976. Her name was first on the judicial ballot. Denied the backing of the Democratic party, she ran as an independent and was endorsed by all three Chicago metropolitan newspapers. She was President of the WBAI from 1976-1977. In 1994, Katherine Maddux Stimson left the Women’s Bar Foundation a bequest. She graduated from John Marshall Law School in 1944. She was a teacher in Chicago public schools for 50 years and a part-time lawyer. She was a WBAI director and chaired the Family Court Committee and Education Committee. She was a WBAI delegate to the Illinois Commission on Children and Youth and the Illinois Advisory Committee on Education. In 1966, Cary Ann Bechly donated $100,000 to the WBAI for scholarships to law schools in Illinois. She was a federal tax attorney for Kirkland & Ellis for many years and one of the founders of the Women’s Bar Foundation in 1968; she was the Foundation’s Treasurer. With Mayor Daley’s proclamation, Friday March 5, 2004 became “WBAI Day” in Chicago. Approximately 400 WBAI members, dignitaries, and friends gathered at the Chicago Historical Society for a night of celebration. Attendees were surrounded by the WBAI history presented in multimedia forms — from videotaped interviews of deceased WBAI members to a photo collage of recent WBAI events projected on the wall. A framed group photo of twenty-one of the WBAI’s living past-presidents, made especially for this event, was displayed along with forty posters of WBAI past activities interspersed throughout the halls. The forty posters went on display in the lobbies of the Daley Center and the Thompson Center for Women’s History Month after the event. 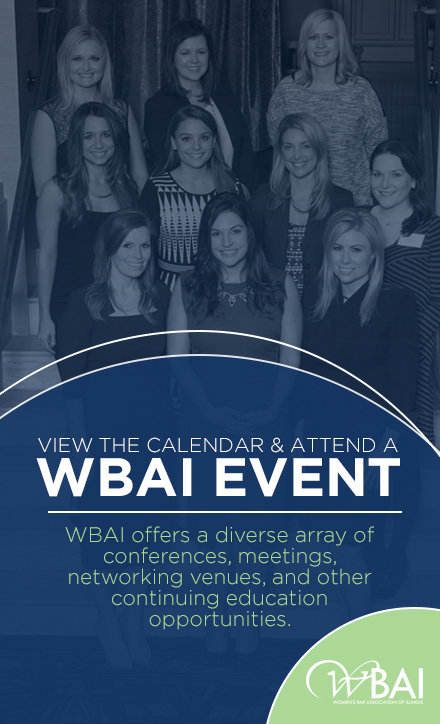 This event allowed the WBAI to raise approximately $12,000.00. Want to know the full history of the WBAI? Check out WBAI 75 to read about the first 75 years of history of the WBAI, as well as news clippings from the early 1900s as well as biographies and photos of WBAI members. 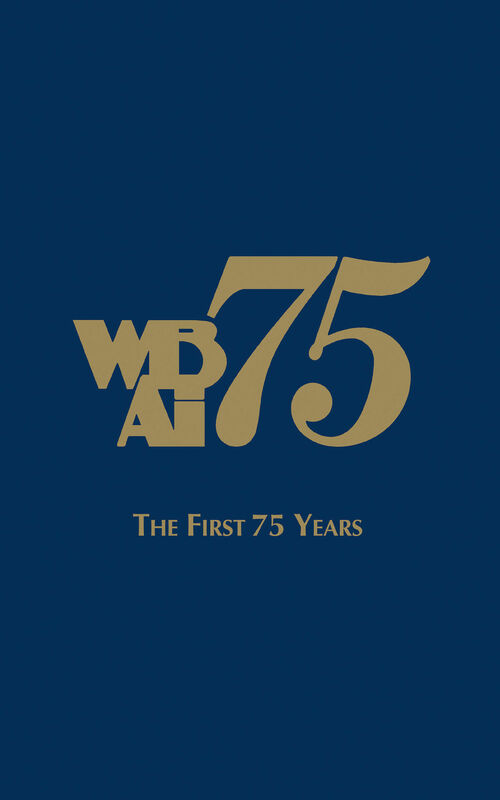 Former WBAI President, Charlotte Adelman, the WBAI’s archivist and historian for over 26 years, singlehandedly wrote the WBAI 75 – a history book of the WBAI’s First 75 Years thereby reducing the history of the WBAI to writing for future generations to enjoy.